Who should make the Yankees playoff roster? 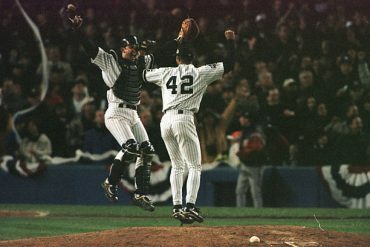 I know our readers need no reminder, but the Wild Card game is now just four days away. On October 3, the Yankees and A’s will square off for a date with the Red Sox in this year’s ALDS. 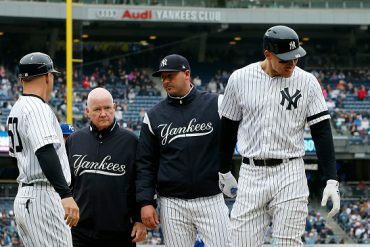 While the Yankees spot is locked in, significant intrigue still exists around several key factors for the playoffs. Who will start the Wild Card game? What will their lineup be? Who will even be on the playoff roster? Several of my colleagues have explored this first question in some depth. I encourage you to read their pieces arguing for J.A. Happ, Masahiro Tanaka, and Luis Severino as the play-in game starters. I have previously examined what the Yankees best lineup might look like. Today I am here to discuss who should make the 25-man postseason roster and suit up for the Yankees in the 2018 playoffs. For the purposes of simplicity, this analysis will focus on the scenario in which the Yankees win the play-in game against the A’s and advance to the ALDS. Rosters are allowed to be reshuffled before each round of the playoffs, which leads to some oddities in Wild Card Game rosters. Since it is only a one game series, you don’t need to carry the usual 12 or 13 pitchers, and so extra spots are usually given to position players. Once the ALDS rolls around, the rosters tend to be more fixed. Without further ado, let’s examine who’s earned a spot on the Yankees playoff roster. These 21 players are fairly straightforward picks for the postseason roster. Most of the position players listed above have been regular starters, and there’s no reason to believe they will not continue to be when the postseason rolls around. Of the 12 listed here, the only non-starters are Austin Romine, Neil Walker, and one of McCutchen or Gardner. Romine has clearly established himself as the backup catcher, with some continuing to argue (wrongly, in my humble opinion) that he should start in the playoffs. 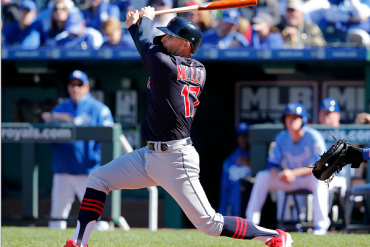 Walker, after an abysmal start, has been a solid contributor since the All Star break. His versatility, and ability to play multiple infield positions functionally is also valuable to the team. Given Greg Bird’s meteoric fall from grace, he will also serve as the de facto backup first baseman. And Gardner, while scuffling, is still a leader and crucial clubhouse presence. There’s no doubt in my mind that he will make the playoff roster despite some struggles at the plate. On to the pitchers. Sevy, Tanaka, and Happ are no brainers and are all in the mix for Wild Card game starter, as mentioned before. 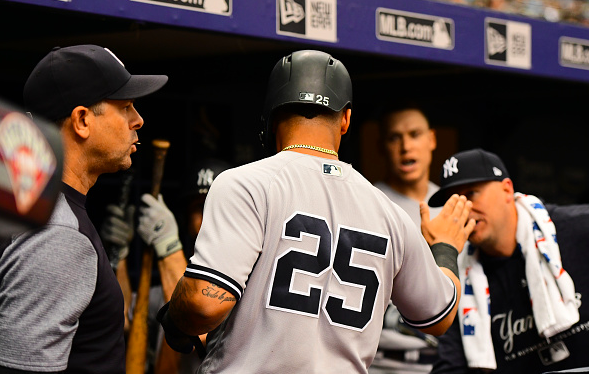 CC has been nails for this team, and is an easy selection for fourth starter. He also continues to cement his pinstripe legacy after forgoing a $500,000 bonus to defend his teammates against the Rays. The five relievers listed constitute the stud arms that most fans think of when talking about the infamous Super Bullpen. While each of these pitchers has struggled at some point in the season, they are all legitimately elite relievers who form the backbone of the Yankees late inning staff. It doesn’t hurt that all of them, save Chapman, have largely been excellent since the start of August. Ultimately, I feel that everyone listed about has a fairly easy case for being on the roster and should be no brainers when it comes time to submit the playoff roster. It would be a genuine shock if any of these 21 Yankees did not suit up in the postseason, barring (God forbid) a late injury. Well, that leaves us with just four remaining spots that are somewhat more contentious to finalize the roster. To this point, we already have 12 position players — the typical regular season position player quota — and nine pitchers. Who’s left with a legitimate argument? Let’s begin with the pitchers. Among remaining eligible, I think Chance Adams, Jonathan Loaisiga, Stephen Tarpley, and Domingo German are all easy to eliminate. All are young, raw, and have been inconsistent despite flashes of their talent. They are not the type of players you rely on in a playoff game. Justus Sheffield has a slightly better case since he’s a premier prospect, but he has all of 1.2 IP in the big leagues. No chance the Yankees use a precious roster spot on him. Of the more established guys, Cessa and Cole have no business being used in a playoff game, even in mop up duty. I will be legitimately enraged if I am subjected to watching AJ Cole get shelled in a moderately close postseason game this year. That leaves Kahnle, Holder, Lynn, and Gray for anywhere from two to four slots. To me, Holder stands out as an obvious pick with his strong performance throughout the season. Yankee fans will likely never forget his shambolic outing at Fenway, but he has been a legitimately solid reliever all season and deserves a place as the sixth man out of the pen. 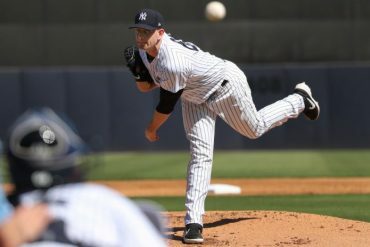 I also think it’s likely the Yankees will take one of Gray or Lynn to serve as the emergency reliever/mop up guy to give the Yankees cover in case a starter gets hurt or a blowout takes place. Since his initial demotion in early August, Gray has actually been quite good pitching to a 2.55 ERA and 3.44 FIP since August 3. Lynn, on the other hand, has a troubling top line number (4.60 ERA) but excellent peripherals (2.33 FIP, 25.7% K%, 6.4% BB%) since that same date. I think this is a toss up but will go with Lynn as the long man in the pen. Ok, stay with me. We now have 23 guys — 12 position players, 11 pitchers — on our potential roster. The remaining contenders for the final two spots are Tommy Kahnle, Greg Bird, Adeiny Hechavarria, Ronald Torreyes, and Tyler Wade. For these final two spots, I think the Yankees will opt for particular tools that could be valuable as plug-ins late in a close game. For that reason, I’m picking Tyler Wade and Adeiny Hechavarria as the final players on the roster. Wade brings elite speed, something that is largely absent from the Yankees lineup. 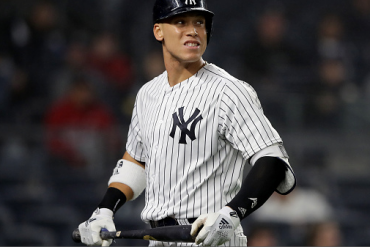 It is now well known that his offensive skills are below average, but he can play a valuable role as a late game pinch runner as well as defensive replacement. Hechavarria brings elite defensive skills that could critical in allowing Boone to replace Miguel Andujar and his questionable glove at third. These two guys have an obvious path to playing time and could provide clear value to the team in the playoffs. Ultimately I have come up with the 25 guys I think constitute both the best and most likely players to be selected for the playoff roster. Though I think the Lynn/Gray question is legitimately a toss up, I am otherwise fairly comfortable with every player I have chosen for this team. Looking back, the Yankees often carry at least 13 position players in the playoffs, unlike their typical regular season roster construction. That 8th reliever becomes even less important with the added days off and more high leverage situations the playoffs brings. I think this year that number will be bumped to 14 since Hechavarria and Wade both have a much clearer value to the team than the shaky Kahnle would. So there you have it. 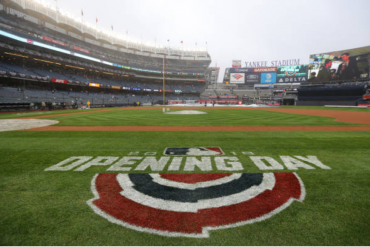 Hopefully, whoever is ultimately chosen, this 2018 edition of the Bronx Bombers can lead the Yankees back to the promised land and World Series glory.